WATCH! 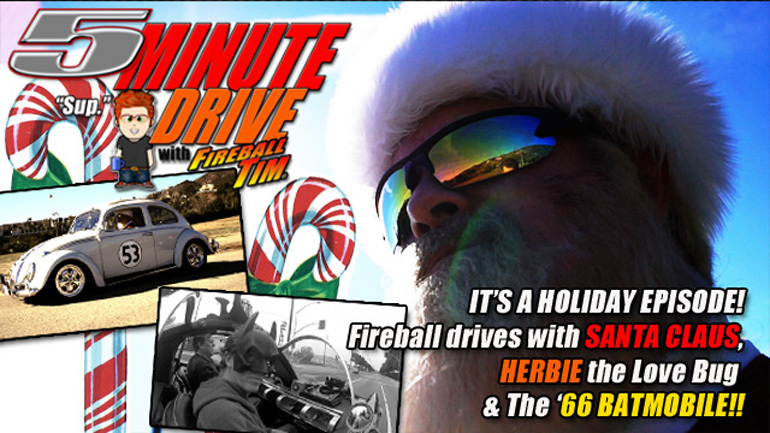 Fireball takes a Holiday 5MINUTE DRIVE with Santa Claus, Herbie & the ’66 Batmobile!! Not sure I can top this episode, but had a blast with St. Nick and Herbie for the first segment, then went off to drive the ’66 Batmobile with my good friend Nate Truman. My best wishes to all of you during this wonderful Holiday Season and into 2015. Another year of awesomeness!!! Fireball Tim’s MEGA-MINIS Books hits for Christmas!